The Isle of Arran, Whiting Bay looking towards The Holy Isle, Goatfell & Ayrshire coast. 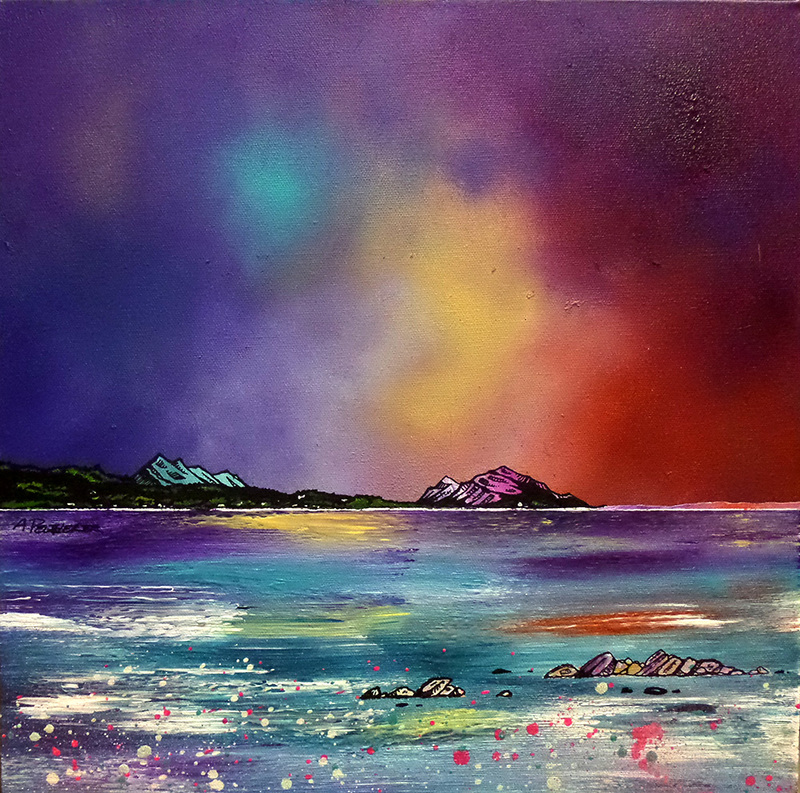 An original abstract, atmospheric seascape painting of The Isle of Arran, Whiting Bay looking towards The Holy Isle, Goatfell and Ayrshire coast. Whiting Bay, Ayrshire by Andy Peutherer.